For many who read FasterSkier, going uphill remains the name of the game. Although we assume the fidelity to nordic skiing is strong we know many dabble in several outdoor pursuits. Some athletes nordic ski as a means to remain aerobically and anaerobically sharp to parlay their fitness into proud adventures or race efforts far from a PistenBully’s corduroy. In many mountain towns, Crested Butte comes to mind, cross-country skiing becomes a default post-work burn until the weekend’s ski mountaineering epic. If you are one of those athletes who are more keen on throwing a 30-meter skinny rope and skin wax in your backpack instead of a tin of extra-blue and you’ve been looking for a training guide, there’s a new book in the training-sphere that might be for you. It’s titled “Training for the Uphill Athlete”. The subtitle reveals more about its target audience — “A Manual For Mountain Runners and Ski Mountaineers”. 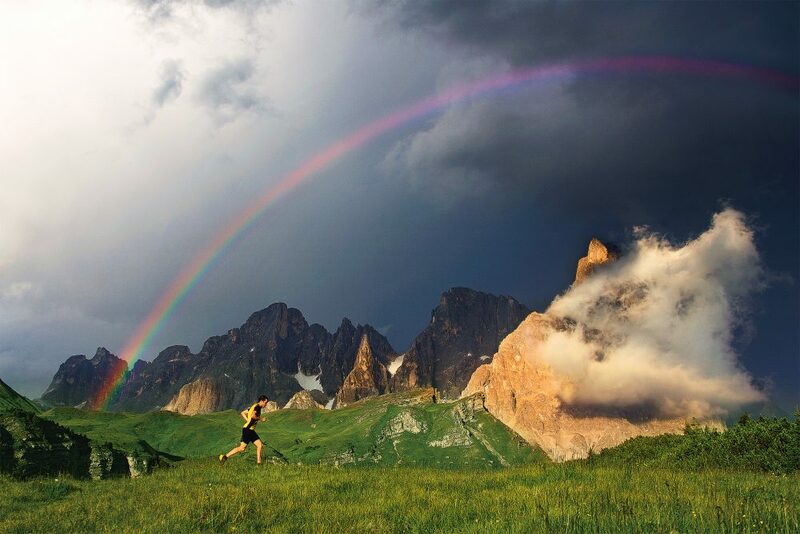 The book is penned by Kilian Jornet, Steve House, and Scott Johnston. Jornet remains a cutting edge mountain runner and ski mountaineer, House brings his experience training for and scratching up some of the globe’s most demanding alpine climbs, and Johnston, himself an accomplished alpinist and cross-country ski coach brings much of the training know-how. “Training for the Uphill Athlete” piggybacks on the template of Johnston’s and House’s book “Training for the New Alpinism”. 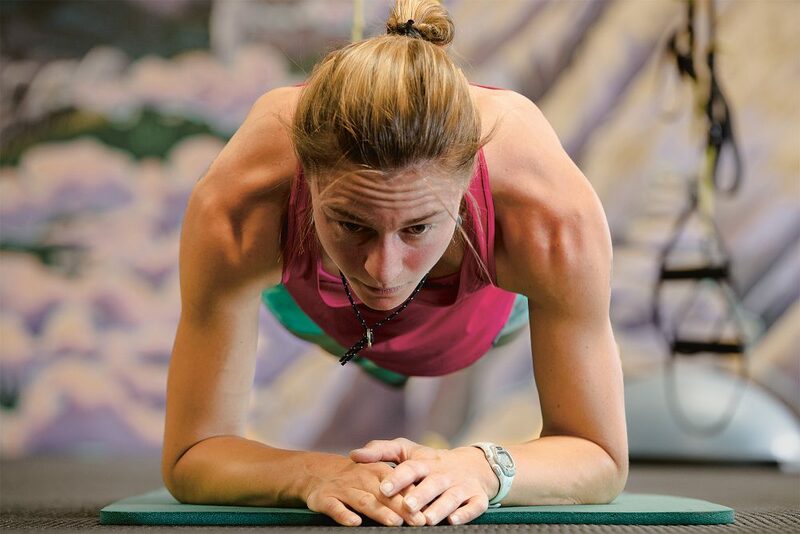 What that means is this: readers are exposed to the science of endurance training physiology, training methods and how to monitor training effects, and the principles of strength training for those interested in defying gravity. 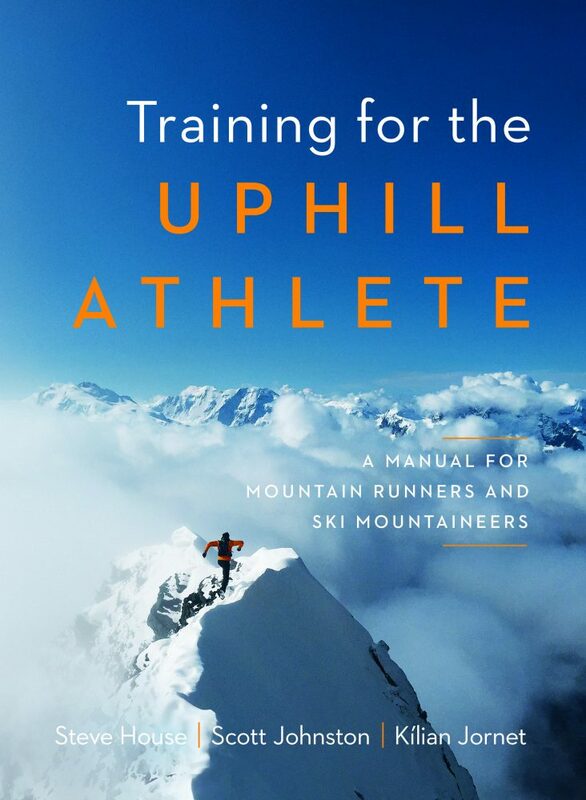 Like their first “Alpinism” book, “Training for the Uphill Athlete” provides enough information for newcomers to enhance their understanding of training physiology (think metabolic pathways) without feeling as if they are reading a journal article. Conversely, for those well versed in training theory, the book provides a robust collection of sport-specific training stimulus ideas. Make no mistake, this is no touch-the-surface book. It is a deep dive pushing 400 pages. Secondly, the book offers countless diagrams, charts, and graphs to help further illustrate the training principles conveyed in text. If you are a visual learner, don’t rule the book out. The visual means by which the authors illustrate information are top-notch and are worth the $35.00 price of admission. The visuals masterfully present dense technical information clearly and allow the reader to glance over at a diagram to reinforce a concept. In that way, it is like an über functional textbook written by Zen masters, not a snore-worthy treatise you might recall from your college days. In reviewing the book over the winter in digital format, and now with the physical book in hand, one thing is clear and it is stated in the sub-title: This is a “manual”. The book remains a one-stop library for answering why we do certain types of training to providing scores of ideas for the highly motivated self-starter to craft a training plan. Sandwiched between the covers are personal anecdotes from numerous athletes that bring a human dimension to the book’s more science-oriented presentations. With Johnston’s experience in the cross-country ski world (disclaimer, I live in Scott Johnston’s old house but did not purchase it from him), you’ll notice several crossover ideas like moose hoofing, bounding, and striding. In the strength section for ski-mo you’ll feel at home when there’s a mention of rollerskiing and options like a ski-erg workout. So even if you remain a skinny ski devotee — and a 60mm underfoot ski as is typically used in ski-mo races sounds like a powder board — you’ll sense the common training DNA. A photo from “Training for the Uphill Athlete”. Anne Gilbert Chase training at The Mountain Project in Bozeman, Montana. This is not a new treatise on training specifically for cross-country skiing. Looking for a tome on the why, how, and when to harness your inner Johannes Høsflot Klæbo or Stina Nilsson? “Training for the Uphill Athlete” may not be your go to. 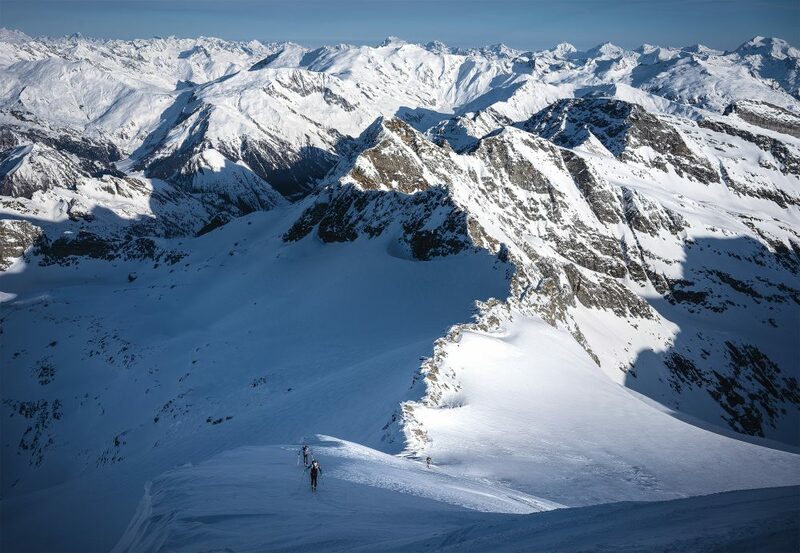 Want to delve into ski-mo racing or mountain trail running, or become a faster stronger version of yourself in those disciplines, or simply diversify your on-snow and off-snow training? Then have a read. The book’s backstory also offers insight into what you’ll be reading. Johnston was interviewed this past winter in Washington’s Methow Valley where he makes his home. According to Johnston, his first stab at a book, “Training for the New Alpinism”, allowed him an initial go at articulating his thoughts on endurance training. During the crafting of the book, Jornet suffered a shoulder injury requiring surgery and he then broke his leg in a ski-mo race. Those injuries slowed down Jornet enough for him to discuss uphill training. What that means is the reader must be the filter when determining how to use the book. An independent-minded pro, as in self-coached, could use this resource as much as a neophyte master aged athlete. If your life includes activities like caring for small humans, time-consuming employment, or other priorities, the reader will have to scale back the training and determine for themselves how to optimize their reduced training hours. By design, the book becomes a stepping off point, like any good how-to book on say climbing, for an athlete to become more self-sufficient. “Training for the Uphill Athlete” is as much a feast for the intellect as it is for the eyes.